Urdu originates from a combination of other languages such as Farsi, Arabic and Turkish. Member of the Indo-Aryan group within the Indo-European family of languages, it evolved during the invasions of Indian Subcontinent by the Persians and Turkic forces from 11th century onward. The language also borrows words from Russian and Spanish languages. Learning of the language encompasses these cultures of Europe and East, and creates a deep and rich understanding of their people and customs. Urdu is spoken by more than 100 million people, predominantly in Pakistan and India. It is the official state language of Pakistan and is also officially recognized, or “scheduled,” in the constitution of India. 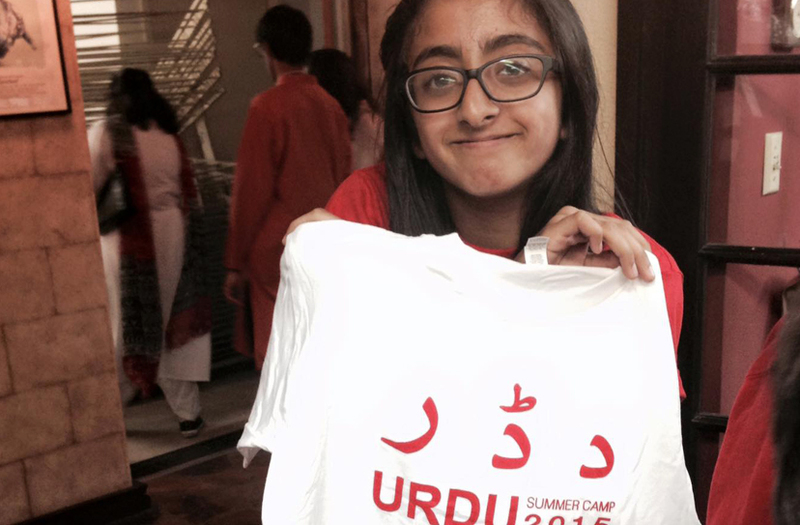 Indus Arts Council offers Urdu language classes for children, youth and adults. Children and youth classes are held on weekends, either on a Saturday or Sunday in various locations throughout Houston, TX. Adult classes and some after school classes are also offered after 4:00 pm on weekdays. Get more information about our Urdu Classes for children, youth, and adults under our Learn Urdu section.